After doing in home Auditions of all 3 Van Alstine DAC’s I thought I would post a review on each one. 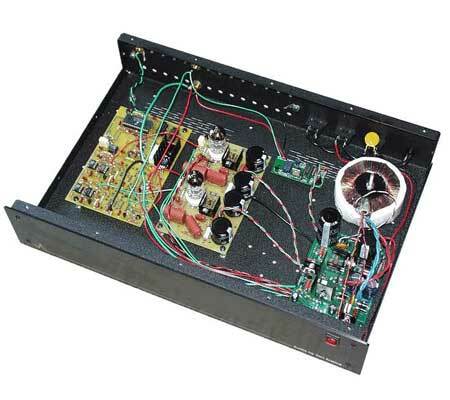 VA offers a Solid State DAC called the Insight for about $900, an all Tube DAC called the T8 for about $1400 and a hybrid tube/ss DAC called the Ultra for about $1700. Let me say this first. I liked all 3 and they all had a similar sound to some extent because they use many of the same electronics. Frank VA’s philosophy is to produce music as naturally as possible without distortion or coloration and this can be found in all his equipment. In addition, his equipment does not come with all the bells and whistles that you may find on other brands. He keeps things simple as possible. This DAC is a real bargain. It produces excellent tight bass with out muddiness. Treble and high frequencies are crisp and clear with out any congestion. Midrange is very smooth. It has great transparency and presents a large sound stage. It sounded much better than my Cambridge Audio 840c CDP which was my reference player. I was able to directly do AB comparisons. Out of the 3 DAC’s, this one produced the deepest bass and most pronounced treble but it did not have the same depth of transparency, resolution or sound stage as the other 2 DACs. The sound was very neutral and natural. There was no grain, digital glare or fatigue. This was the most analog sounding of the DAC’s but it was not overly warm. It still had more of a neutral sound but was definitely warmer than the Insight. It had greater transparency and a larger sound stage than the Insight but treble was softer as you would expect from an all tube design. Bass was tight but not as powerful (but not anemic by any means) as the Insight. The sound was very smooth and liquid with good detail and resolution. You could listen to this DAC all day and not get tired of it. My only complaint about it is that I like more prominent treble. This would be a great DAC if you had a brighter system or you liked to listen to a lot of older Cd’s that tended to be on the bright side. This is the most expensive of the 3 DAC’s and is well worth it. It gives you the best of the other 2 DAC’s. Its a neutral sounding DAC with a hint of warmth. It has tight bass, better than the T8 but not as pronounced as the Insight. Treble is excellent, not as soft as the T8. It is also extremely liquid. The virtues of this DAC are its dynamics, clarity, resolution, detail, quietness, huge sound stage and transparency. The sound stage is so large that I thought I was sitting in a concert hall listening to music. It also has the most transparent sound that I have ever heard. You feel as if you could reach out and touch each instrument. It also had the most natural sound and made music sound live. Now part of this could be my Magnepan MG1.6′s which make just about all music sound like a live performance, but all 3 DAC’s, especially this one, made the music sound like a live performance. One last comment, I got an email from a guy on the Audio Circles forum the other day asking me about my Magnepans. We got to talking about DAC’s and CDP’s. He owns the Insight DAC. He said he had owned the Benchmark DAC, the PS Audio Digilink III DAC and the Cambridge Audio 840c CDP but that the Van Alstine Insight DAC blew them away. I still have his Email if any one is interested in talking to him.